Chip Somodevilla / Staff / Getty ImagesStarcity caters to workers who earn less than $US90,000 a year. San Francisco residents are continually finding new ways to deal with an affordable housing shortage. Starcity is a coliving startup that offers housing to middle-class earners who make less than $US90,000 a year. Members pay between $US1,400 and $US2,400 a month for a fully-furnished bedroom and a shared bathroom. Rent and home prices are so high in San Francisco that even non-tech, middle-class workers are moving into dorms. In a recent New York Times story, reporter Nellie Bowles says “the middle-class backbone of San Francisco – maitre d’s, teachers, bookstore managers, lounge musicians, copywriters, and merchandise planners” are growing more and more comfortable with the idea of community housing, a housing solution largely pioneered by the Bay Area tech crowd. Starcity, a development company that buys up defunct hotels, retail buildings, and parking garages, is leading the charge. The startup was founded in 2016 and caters to a specific demographic – middle-class earners who don’t qualify for government subsidies but still can’t afford San Francisco’s sky-high prices. That group ends up being mostly non-tech workers. The trade-off of having a private room, but sharing a bathroom with at least one other person and a kitchen with many, is primarily financial – at least at first. Starcity members pay between $US1,400 and $US2,400 a month – up to $US1,900 less than the average renter in San Francisco – for a fully-furnished 130 square-foot to 220 square-foot bedroom, with utilities and Wi-Fi included, reports Bowles. Building managers ensure everything runs smoothly for members, restocking bathroom and kitchen supplies and planning community events. They even offer extra services, like laundry for $US40 a month and bedroom cleaning for $US130 a week. Caroline Cakebread/Business InsiderStarcity residents have access to a communal kitchen and living room. To be considered middle class in the US, you need to earn at least $US39,000 a year. The high cost of living in San Francisco has shocked some residents who earn $US400,000 into thinking they’re middle class, according to Business Insider’s Melia Robinson, but the threshold is actually much lower. Thanks to San Francisco’s exorbitant housing costs, residents there need to earn at least $US64,451 – and up to $US193,354 – to technically be considered middle class.Starcity is aiming to house people at the lower end of that range, targeting people with an annual salary between $US40,000 and $US90,000. Starcity operates three buildings in San Francisco, with nine additional locations under development. The company says it currently has a wait list of more than 8,000 people. 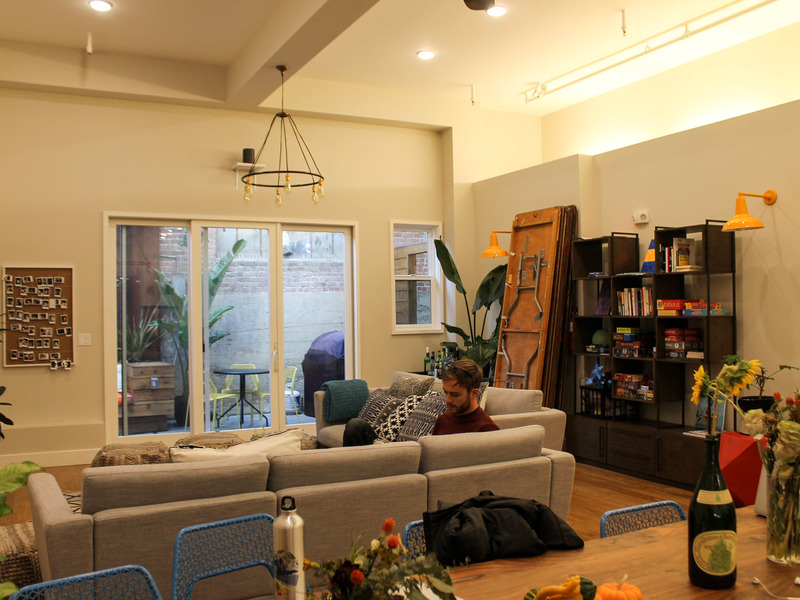 Coliving isn’t new, but it’s becoming increasingly common in expensive cities across the US. 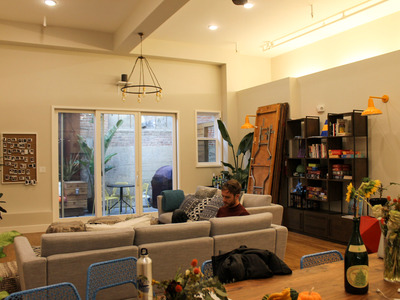 Robinson has previously reported on the popularity of coliving in the Bay Area, like the “hacker house,” a group-living building geared toward early-stage entrepreneurs. There are also WeLive apartments, owned by the coworking company WeWork, in New York City and Washington DC. For the typical worker in San Francisco, buying a home is out of the question. The salary needed to qualify for a mortgage with 20% down is now $US173,783, while the median income is just $US96,677. Some companies won’t even hire employees in San Francisco because it’s too expensive to pay them a living wage.